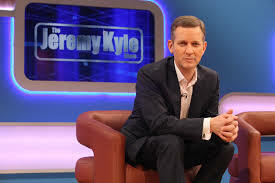 What a guilty pleasure Jeremy Kyle Is. People go onto the show sharing the most intimate details. But Jeremy makes the show, with his comments and insight. Today I caught an episode where an old man had had a £1000 stolen off him. The lady he had accused had done a lie detector test. She was asked did you steal the money. Much joy and celebration and celebration followed. Then in a dark tone that only Jeremy has, he said. Hushed silence as Jeremy looked at the card. “You lied you did know who stole the money” Said Jeremy. Much gasping of the audience. So what’s this got to do with hairdressing? You might be asking. Well, if Jeremy had not asked the second question the lady would have got away with it. So how often have you been in a salon when if you had perhaps been asked one or two more questions. You might of got the hair cut or colour you wanted.